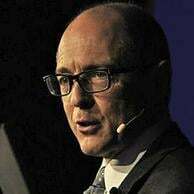 A cross-Canada tour is being planned to educate the Canadian public about the evidence about the destruction of three skyscrapers at the World Trade Center on September 11, 2001. This tour is envisioned to traverse the continent from the Pacific Coast to the Atlantic Provinces. 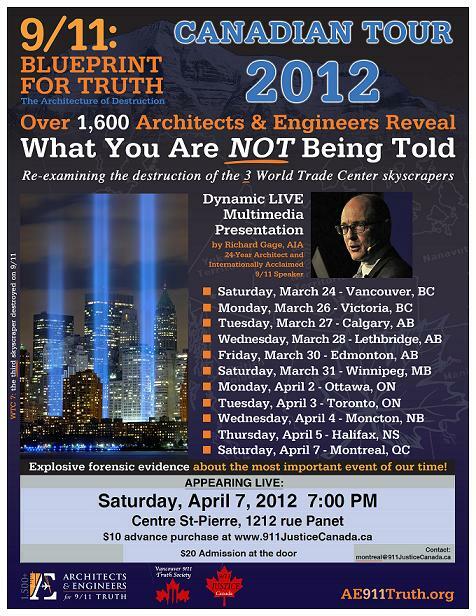 RICHARD GAGE WILL BE SPEAKING IN MONTREAL AS PART OF THE AE911 TRUTH TOUR! CLICK TO PURCHASE YOUR TICKETS FOR THIS IMPORTANT EVENT!